Ignoring the concerns of EU politicians and media freedom groups, the Polish president has secured government control of state radio and TV. The EU Commission has downplayed the move, asking that it not be “overdramatized”. “We see that very often subjective, personal opinion ... replaces the objective information, which should reach the viewer or the listener,” Sadurska said. “The president will monitor public media” so that they remain objective and impartial, she added. The new framework of state control of the media allows the government to terminate the contracts of executives running the state radio and television networks, TVP1 and Polskie Radio. The new heads will be appointed by the Polish treasury minister. Additionally, the law limits the number of members on the state broadcasters’ supervisory and management boards. 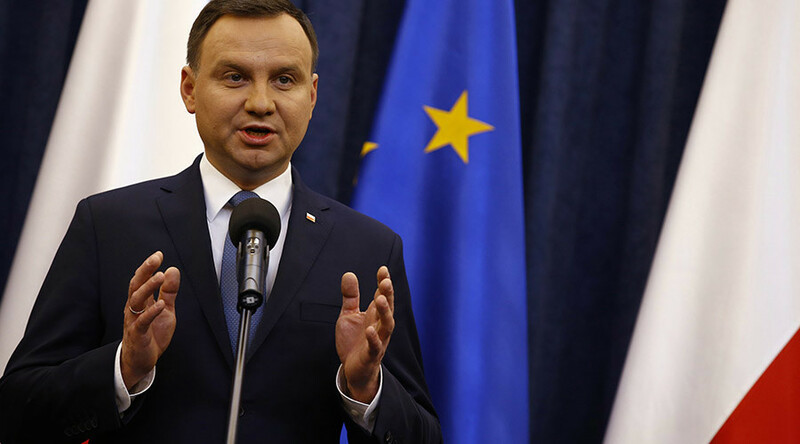 After initially voicing concern when the lower house of the Parliament passed the measure on December 30, the European Commission downplayed the Polish move to restrict freedom of speech in the country. “Let’s not overdramatize. It’s an important issue. But we have to have friendly and good relations with Poland. Our approach is very constructive – we’re not bashing Poland,” European Commission President Jean-Claude Juncker said in Amsterdam, EUobserver reports. “Freedom of expression and information, as well as the freedom of the press...are... essential for democracy, which is one of the fundamental values common to all Member States, on which the European Union is founded,” stated the Commission's briefing from April this year. 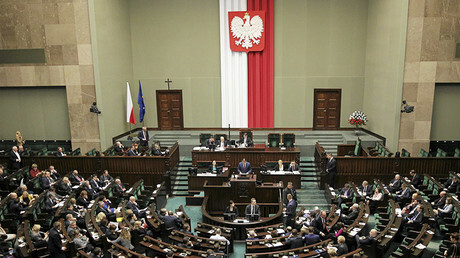 By violating freedom of the press, Poland, under Article 7 of the EU treaty, should lose its EU Council voting rights. However Juncker believes Poland will get off clean. “I don’t think it’ll come to that,” he said, adding that he is “very confident” that the Polish government will clarify and justify its intentions. “Poland is embarking on the anti-democratic road already taken by Viktor Orban’s Hungary. The European Union cannot allow itself to have two member-states that violate its Charter of Fundamental Rights so flagrantly,” said Alexandra Geneste, the head of RSF’s EU-Balkans desk in Brussels. “Freedom and pluralism of the media are crucial for a pluralist society in a member state respectful of the common values on which the union is founded,” European Commission Vice President Frans Timmermans wrote in a letter to the Polish leadership in December. The European Commission will debate Poland’s ruling on January 13, in a meeting that was set up after the Polish parliament’s approval of the legislation, to determine whether Warsaw’s move should result in Poland losing its EU voting rights in the 28-nation bloc. The director general of the European Broadcasting Union (EBU), Ingrid Deltenre, said in a statement she was “dismayed by the president's decision” to sign a law before consulting Brussels.